This recipe has been highly requested as of late, so we figured we should have our go at it so you can enjoy the holidays to their full extent this year! 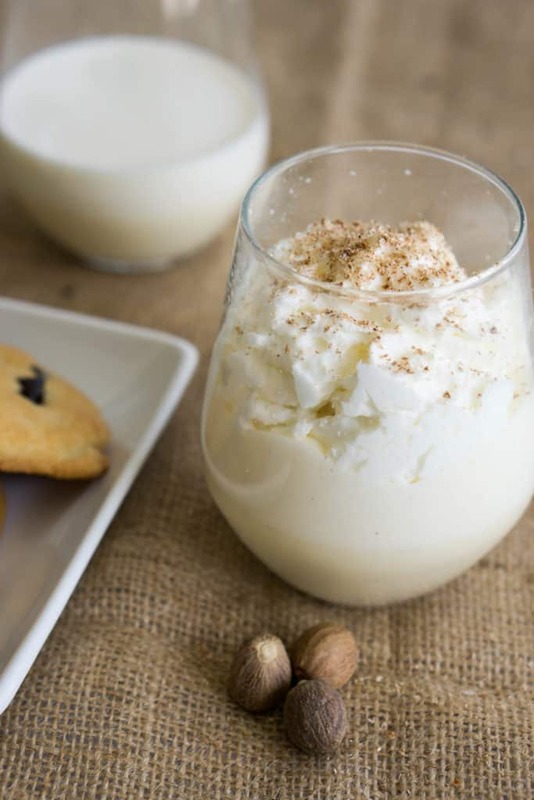 Our Keto Eggnog is not only easy to make, but replicates the eggnog you use to drink pre-keto to a tee. I'll be honest, I've never had eggnog, but Matt used to drink it every year and couldn't stop raving about how exact our keto version tastes. Matt isn't quick to give a compliment so I think it's safe to assume we have a winner with this recipe! 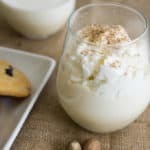 Eggnog is delicious all year round, but far from keto friendly. However, I found a simple way to mimic the milk that is normally found in eggnog, so that you can't even tell the difference! If you use heavy whipping cream as the majority of the base and lighten it up with some flax, almond or cashew milk you'll get the perfect thickness for your eggnog. Aside from the milk the rest is perfectly suited for a low carb diet, including the optional whiskey you add *wink face*. Homemade Eggnog Is Always Better. I know egg nog is sold in stores nation wide during the holidays and it also seems like a great option for convenience when you are already going to be spending countless hours preparing the holiday meals. But, isn't homemade always better? Not only will your friends and family be impressed, but you'll be doing them a favor by lightening it up on the carbs. Trust us, they won't even know the difference! We've made this recipe super simple to follow you can even have the kids make it the morning of and let it chill in the fridge for a couple hours before the guests arrive. I'm not sure who determined that egg nog is a recipe that only comes around during the holidays, but whoever they are shouldn't be allowed to make anymore decisions. This is now one of my favorite beverages and seems like an awfully good way to end any night of the year. It's thick, it's rich, it's creamy and low carb, does it get any better? 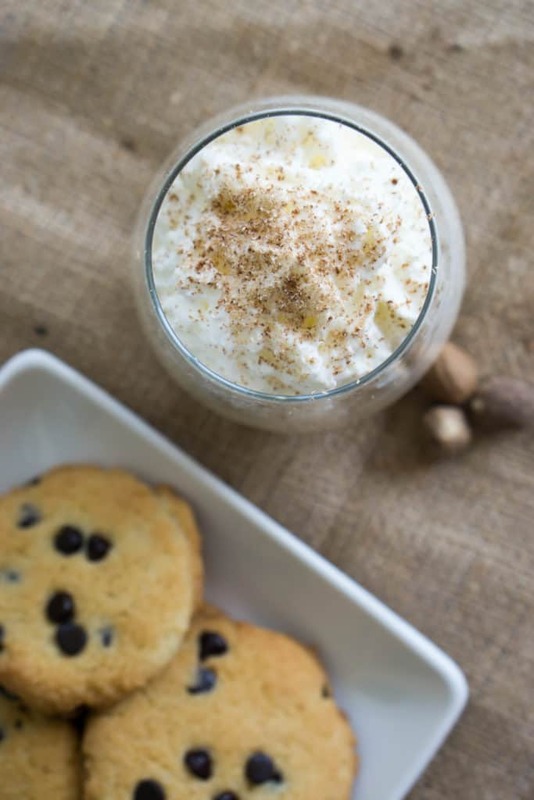 Regardless of whether you are an eggnog drinker, you'll want to make this keto eggnog for your friends and family this holiday season! **Cooked Eggnog: If you prefer to cook your egg nog, you can first heat your heavy cream and flax milk in a saucepan, remove from heat and slowly whisk in the lightened color yolks and swerve mixture, and the peaked whites. Once fully combined return to heat and heat through once more prior to chilling. 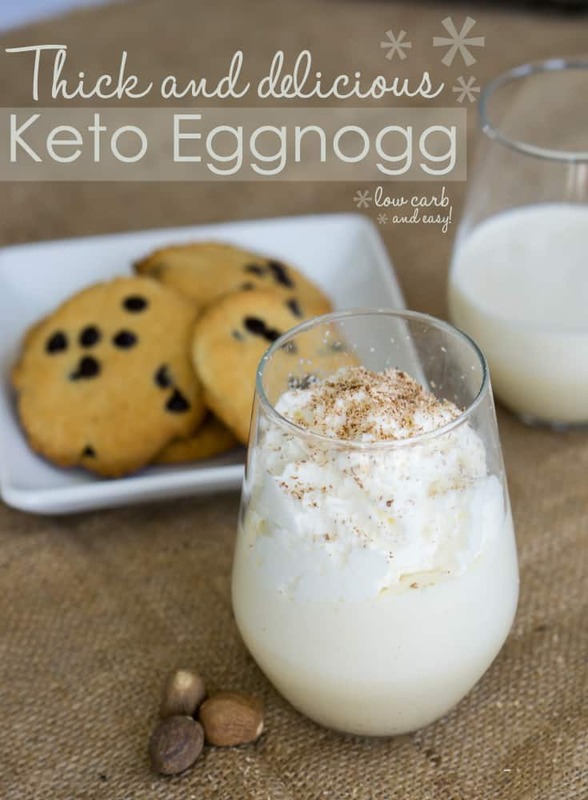 Recipe can be quickly added to MyFitnessPal - Search "KetoConnect - Keto Eggnog"
Separate the eggs into two medium bowls, and set the egg whites aside. Using a whisk beat the yolks until they turn light yellow in color. Once the color has lightened add 3 tbsp of the confectioner sugar and mix again. Add the heavy whipping cream, flax milk, and nut meg to the yolk mixture and whisk to combine. Set aside. Using a hand mixer whisk the egg whites until you get soft peaks. Add the remaining tbsp of swerve and whisk until you get medium peaks. Add the whites to yolk mixture and whisk together briefly until fully combined. Chill for 3-4 hours. Once chilled the mixture will separate slightly so give it another whisk prior to serving. Garnish with additional nutmeg, if desired.